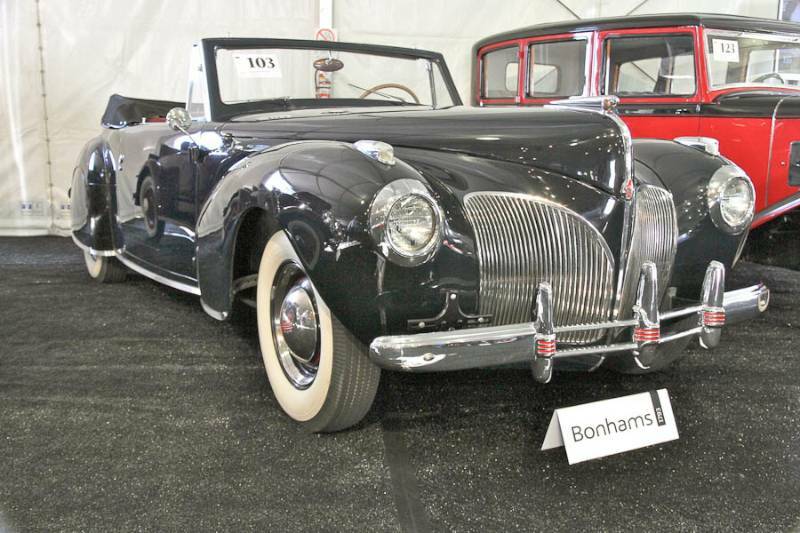 January 16, 2014 marked the third year since Bonhams joined the Arizona collector car auction week familiarly known as “Scottsdale.” The sale exploded in value and quality, nearly tripling the $6 million total of 2012’s first year sale and firmly setting Bonhams’ cat among the Arizona car collector auction pigeons. 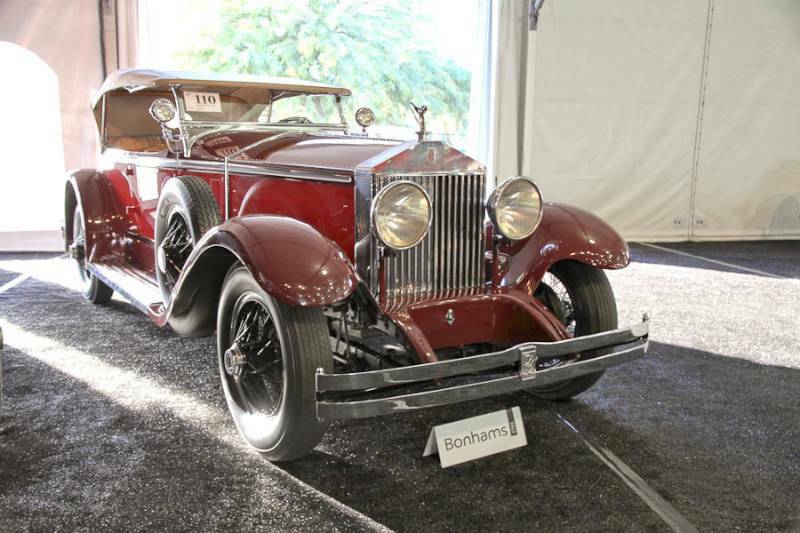 Bonhams’ was an outstanding consignment, with enough 7-figure sales by themselves (five of them totaling $11.6 million) to nearly equal last year’s $13.5 million sale total and almost double the first year’s sale. Exceptional caliber cars ran from “The Tailor’s Car”, Ferrari 212 Export Touring Coupe, through a beautiful Alfa 6C 1750 Gran Sport Zagato Spider, to the car that may have been one of the best buys of the week, the Mercedes-Benz 500K Sports Phaeton, even at $1.4 million. Scottsdale was ample proof that Bonhams has seriously upped its game, confirming the performance they gave at Monterey’s Quail Lodge in August. Their upcoming sale in Paris during Rétromobile promises to be another strong event. Andrew Newton and Paul Duchene contributed onsite observations, comments and photos to this auction report. 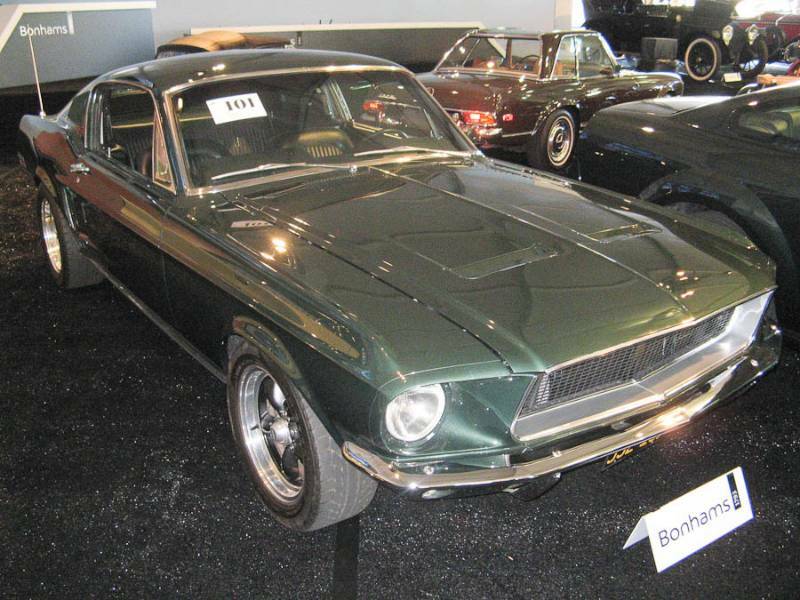 Lot # 101 1968 Ford Mustang Bullitt Fastback; S/N DRMVB0000157695MO; Green/Black; Estimate $80,000-$120,000; Unrestored original, 2- condition; Hammered Sold at $80,000 plus commission of 10.00%; Final Price $88,000. Resto-Mod of “Bullitt” movie car, Roush 347 race motor, 5-speed, Vintage Air, properly braced engine compartment, RRS suspension, wide tires, mag wheels, 4-wheel disc brakes. Ex-Chad McQueen. – Fresh car by Gateway Classics, built for TV. Good paint and body fit. Glass, interior, and wood dash all excellent. Interior mirror fell off. – The McQueen factor – even if only Chad – added little but will help preserve the value of this resto-mod, which brought no more than a decent Eleanor replica without celebrity ownership. The new owner has the leeway to put a few miles on it, and the 5-speed will allow it to be shifted almost as many times as the soundtrack of the movie implies. Lot # 103 1941 Lincoln Continental Convertible; S/N H117749; Washington Blue/Red leather; Black cloth top; Estimate $50,000-$70,000; Older restoration, 3 condition; Hammered Sold at $65,000 plus commission of 10.00%; Final Price $71,500. 292/120hp, 3-speed, overdrive, hubcaps, trim rings, Denman wide whitewalls, skirts, column shifter, radio. – A 30 year old restoration with inconsistent gapping on most panels, numerous cracks and scratches in the paint, and worn weather stripping. Good interior with only light signs of use. Not pristine by any stretch of the imagination, but an older CCCA National First Prize restoration that’s been carefully maintained and recently serviced. – Well restored with some cosmetic and fit issues that should be dealt with efficiently, a quality old restoration that was recognized by the bidders and brought a superior price. 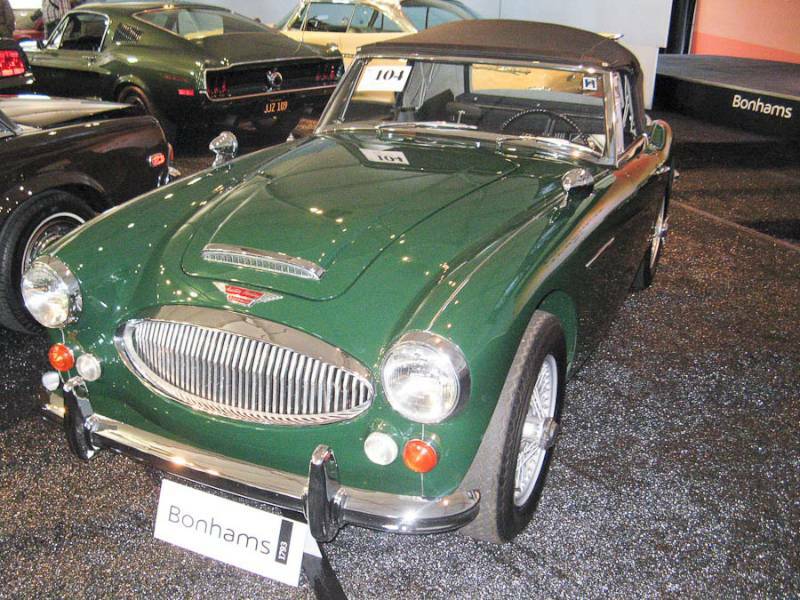 Lot # 104 1966 Austin-Healey 3000 Mk III Phase 2 Convertible; S/N HBJ8L36843; British Racing Green/Black; Black top; Estimate $65,000-$75,000; Older restoration, 2 condition; Hammered Sold at $44,000 plus commission of 10.00%; Final Price $48,400. No Reserve. Correct painted wire wheels, heater, overdrive, weather equipment. – Accurate, documented 20-year-old restoration by Paul Tsukuris. Paint a little too light, good panel fit and chrome, cheap top, good wood, engine is like new – Sold for $66,000 at Barrett-Jackson in Palm Beach nine months ago, which is a more appropriate level for the presentation of its two decade old restoration. The price here is a surprise, and a very good value for the new owner. Lot # 105 1953 Jaguar XK 120 Roadster; S/N 672755; Engine # W5764-8; Black/Biscuit leather; Tan top; Estimate $120,000-$140,000; Older restoration, 3 condition; Hammered Sold at $87,000 plus commission of 10.00%; Final Price $95,700. 3442/160hp, 4-speed, represented as matching numbers documented with JDHT Heritage Certificate, disc wheels, Nankang tires, fender skirts, tribar headlights, Lucas driving lights, single stainless steel exhaust. – Very shiny with some paint flaws, bumpers good but uneven, rather bright leather interior, inaccurate repop grille. Upholstery and top replaced more recently. – Bid to $130,000 at Mecum’s Monterey auction in August, bought reasonably here, with money left over to fix the details without going underwater. Lot # 106 1915 Packard 1-35 Twin Six 7-Passenger Touring; S/N 86193; Engine # 86193; Black/Black leather; Black vinyl top; Estimate $170,000-$200,000; Unrestored original, 4+ condition; Hammered Sold at $131,000 plus commission of 10.00%; Final Price $144,100. 424/88hp, 3-speed, wood spoke wheels, whitewalls, Waltham clock, Warner speedometer, Delco ignition. – Preserved from the 1940s by Charles and Sue Bovey in their Virginia City, Montana museum until 2000. Highly original with cracked and crazed old paint, repainted matte black to preserve and hold it together. Some upholstery is original, most is an old replacement. Extensively and successfully toured since 2002, too good, and sound, to restore with 27,122 miles from new. An original car with all the right kinds of patina that was brought back to good mechanical order while, when possible, retaining its preserved and unspoiled character. Should be enjoyed as the time capsule that it is. – Bought advantageously for the inherent quality of the Twin Six and the rarity of its remarkable originality. The Twin Six’s quality is endorsed by the number of these cars that seem to survive in largely original and yet frequently used condition. Continued preservation and touring should be the objective of the new owner, it would a shame to restore this car. 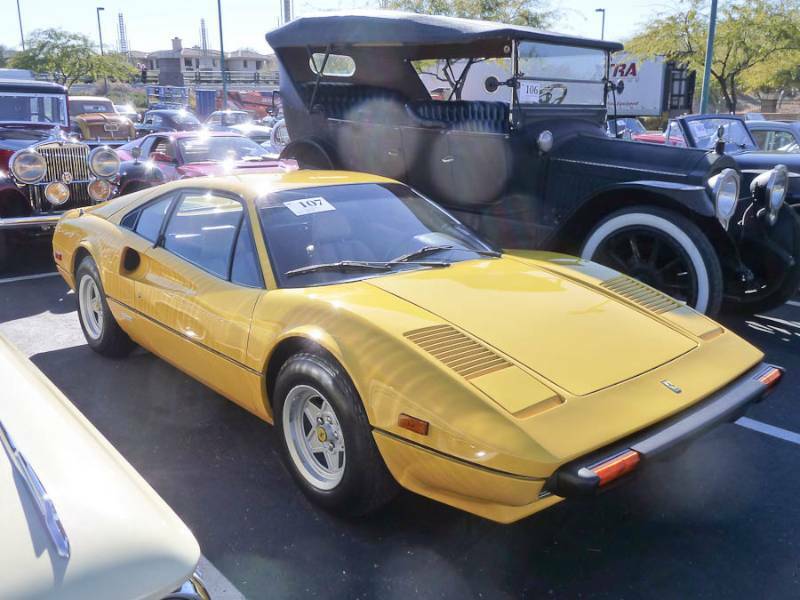 Lot # 107 1976 Ferrari 308 GTB Fiberglass Coupe; S/N 19579; Engine # 1770; Yellow/Tan leather; Estimate $75,000-$100,000; Unrestored original, 2- condition; Hammered Sold at $104,000 plus commission of 10.00%; Final Price $114,400. A/C, P/W, AM-FM, Michelin XWX blackwall tires. – Good mostly original paint, many gel coat cracks. Sound lightly stretched driver’s seat cushion with no bolster wear. Clean underbody. Good dash top. Lifting wheel paint and some corrosion. – The early fiberglass 308 GTBs still attract a significant premium over their later steel bodied siblings, as this result indicates and despite the tender nature and wavy surfaces of their vetroresina body shells. Even their rarity and perceived value doesn’t support the price of this high original example. It is an expensive car. 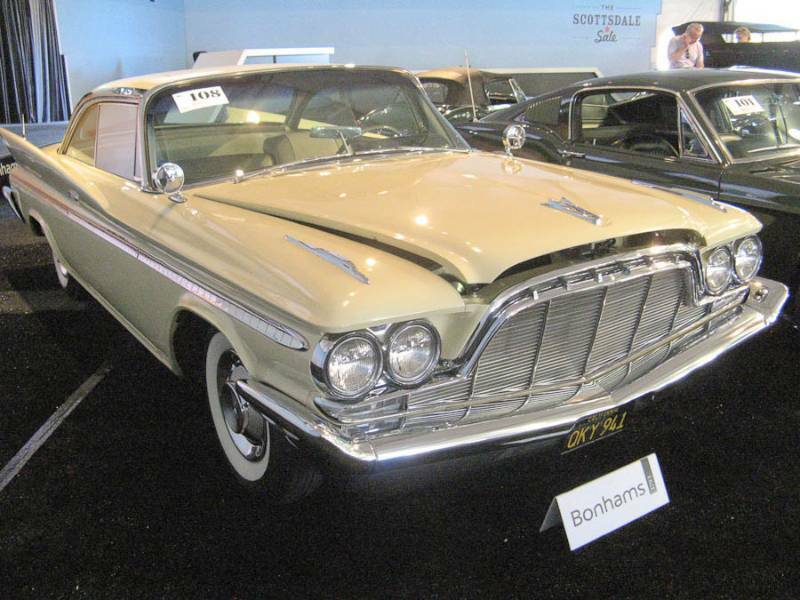 Lot # 108 1960 DeSoto Fireflite 2-Dr. Hardtop; S/N 7103110818; Yuma Yellow/Tan; Estimate $30,000-$40,000; Unrestored original, 3+ condition; Hammered Sold at $40,000 plus commission of 10.00%; Final Price $44,000. No Reserve. 361/295hp, push-button transmission, power steering, power brakes, whitewall tires, tri-tone vinyl upholstery, AM radio. – Three owner original car. Good paint with some dulling, straight trim and chrome, good glass, excellent grille and attractive interior. Every registration receipt since 1971. – Strong money based on rarity, but not overly so, especially for this car’s originality and known ownership history. Lot # 110 1929 Rolls-Royce Phantom I Ascot Tourer, Body by Brewster; S/N S178FR; Engine # 21788; Rouge Carmine, Amaranto fenders / Beige leather; Tan cloth top; Estimate $275,000-$350,000; Cosmetic restoration, 2- condition; Post-block sale at $231,818 plus commission of 10.00%; Final Price $255,000. 7668/113hp, 3-speed, dual sidemounts, black wire wheels, Lincoln blackwall tires, luggage rack, spotlights. – Excellent paint and interior. Good chrome. Largely original underneath, including the coachwork. Ex-Henry Wing and Paul Stern. Nearly continuous history under the stewardship of several prominent collectors, and beautifully recommissioned without succumbing to over-restoration. – Sold by Bonhams at Quail Lodge in 2010 for $172,000 before spending about GBP50,000 on mechanical and body work and paint. Offered here last year with a reported high bid of $280,000 and sold much more reasonably today. Sympathetically restored and maintained, a sound value at this post-block negotiated price. 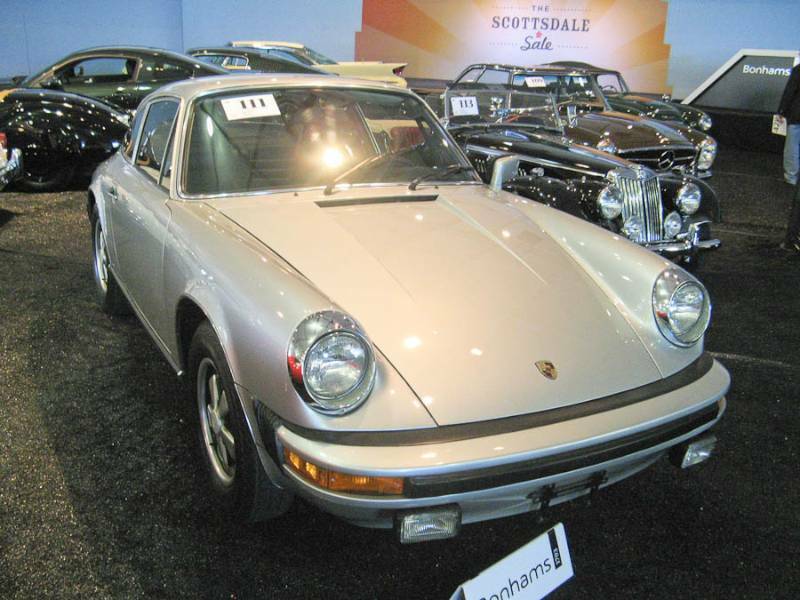 Lot # 111 1977 Porsche 911S Coupe; S/N 9117201892; Engine # 6273359; Silver/Black; Estimate $45,000-$55,000; Cosmetic restoration, 2 condition; Hammered Sold at $80,000 plus commission of 10.00%; Final Price $88,000. No Reserve. Fuchs wheels, 5-speed, power sunroof, sport steering wheel, air conditioning updated to R134, Blaupunkt AM-FM, Porsche Certificate of Authenticity, jack and tools. – Sat for years but now has rebuilt engine, clutch and brakes and a repaint in the original color. Reportedly 20,870 miles from new, with an appropriately good and largely unused original interior. Sits oddly high, like the springs haven’t settled. – Blew through estimate into 930 Turbo territory, proving the value of originality. Bid to only $55,000 at Mecum’s Monterey auction last August, the seller was rewarded for waiting and for accepting a modest estimate that drew in the bidders and resulted in this extraordinary result. The originality is not worth the premium it brought; the Porsche is expensive. I always appreciate and enjoy your detailed auction reports, including your candid descriptions, appraisals and assessments. I’d love it if more of your auction reports could be up to this level of thoroughness — not just a quick overall summary with a link to the auction house website. Thanks for noticing. There are two kinds of auction reports on SCD, the early-responders that are developed from the auction companies’ post-sale releases and the on-line summary of results, and the later, more comprehensive reports that describe the cars we actually look at in greater detail. 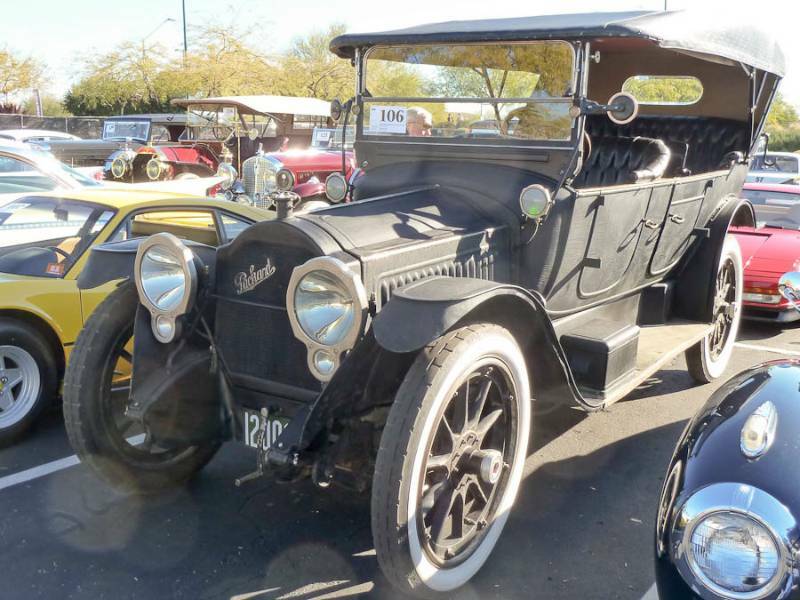 The detailed auction reports take a while to produce, especially as at some sales (e.g., Scottsdale) we have several people wandering around writing up cars and taking their photos. They have to edit their own work, then I meld their work product into the final report, with more editing to bring the descriptions and opinions into the SCD form and substance. I’ll be working on Scottsdale auction reports for the next two weeks … and Mecum Kissimmee, and Retromobile, too. I hope that the loss of timeliness is offset by the reports’ quality and thoroughness. I agree with Doubleclutch great work Rick ! 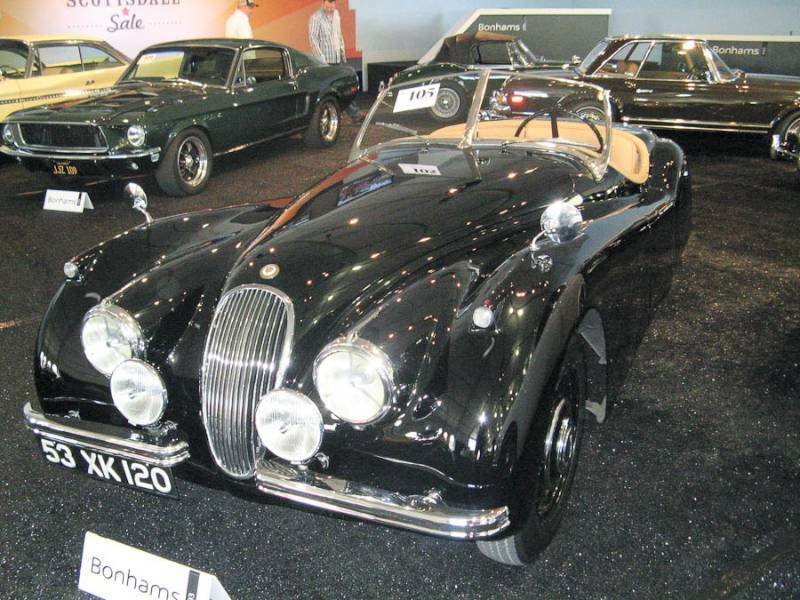 , One question , Lot 153 the 1950 XK 120 Jaguar the discription states ” Matching numbers ” but with a replacement cylinder head , surely the head would have a different number stamped than the engine block , so it would be non matching ? In integrating and editing the work of another auction observer I missed three consecutive cars, Lots 152, 153 and 154. I’ve sent updated entries to SCD to replace the originals. Thanks for bringing this to my attention. It’s gratifying actually to be read, even if it only helps catch a mistake, oversight or contest an opinion or conclusion. I’ll be wandering around Paris next week at Retromobile, RM, Bonhams and Artcurial, so if you see the old guy with the beard, vest and slate computer taking notes and photos, please take a moment to say hello. We’ve updated the reports on Lots 152, 153 and 154.